If you want to have crib sheets that perfectly match the nursery's decor then make them yourself with this crib sheet pattern. This sewing project is so easy that anyone with some sewing experience can do it. The pattern has step by step instructions with a photo of each step to help you along. You can also tailor the pattern to fit a toddler's bed as well. Just by cutting a piece of fabric and adding some elastic, you have a crib sheet. 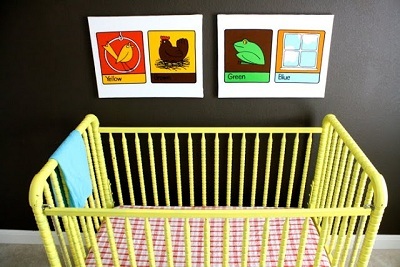 Make one or several crib sheets in all sorts matching prints for a lovely place to lay baby down for a nap.